Are you looking for a great dentist that will serve the needs of your whole family? It’s not always easy to find. There are plenty of dentists whose practices are geared toward children, and there are plenty of dentists whose practices are geared toward adults. However, when you’re looking for a dental practice that cares for both equally well, you’ll need Smile & Shine. We are a true family dental practice, caring for children, adolescents, and adults. 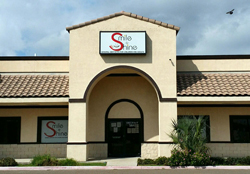 Learn more about Smile & Shine and make your first appointment. Call (956) 257-9414 today to get started! 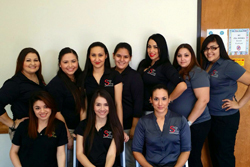 At Smile & Shine, we take pride in serving the dental care needs of the whole family. Whether you are taking your little one in for his or her first appointment or it’s time for a routine cleaning for you, you’ll find that our staff is compassionate, here to put the patient at ease. Just as important, our dentist, Dr. Nanva, has the skill to take care of dental problems big and small. From orthodontics to routine cleanings, we do it all. True family dental care starts with routine cleanings and prevention. However, it doesn’t stop there. We can help with cavities, root canals, and even certain types of dental surgery. We also have training in orthodontics for both children and adults, so whether it is time for your youngster to get braces or you’ve decided to straighten your own teeth, we can help. Lastly, we specialize in caring. Whether the patient is 5 years old or 85 years old, we want to make sure that he or she is comfortable. We understand how difficult it is for busy families to carve out the time for dental appointments. That is why we have two convenient locations in Weslaco, TX and Rio Grande City, TX. It’s now easier than ever to find a great location to get the dental care that you and your family need. 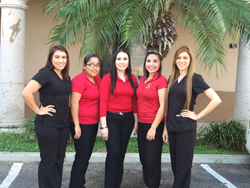 Call (956) 257-9414 to make an appointment at either of our locations. Our friendly staff and caring dentist look forward to treating you. Whether you’re looking for a routine teeth cleaning, orthodontics, or other dental care services, call today!